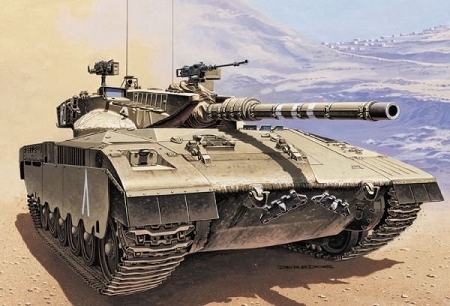 The Merkava tank was developed by the Israel Army as a result of its experiences during the country’s thirty-plus years of wars with nearby Arab states who were being equipped with increasingly modern Russian-built means. The Merkava boasts a massive armour, latest generation crew survival systems, plus leading-edge electronics for combat and night vision. In addition to this, it is highly mobile on the region’s sandy and rocky terrain, in spite of its size and considerable weight due to its extensive protective equipment.